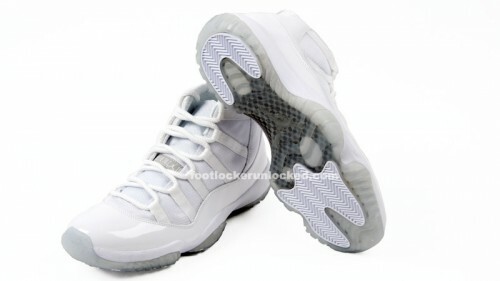 This weekend Foot Locker will be releasing the all white AJ XI in celebration of Air Jordan’s 25th Anniversary. 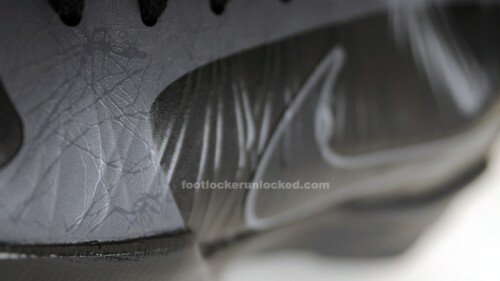 They will be available for purchase on footlocker.com tonight at Midnight Eastern/11pm Central/9pm Pacific but you can start your virtual camp-out now and watch the new Foot Locker Release Countdown Ticker. Good luck grabbing yours! 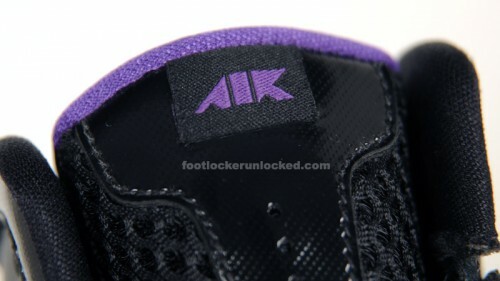 The Nike Air Attack continues this summer with this Air Max Hyperfly Black/Varsity Purple arriving at Foot Locker stores in June. Don’t forget, the Air Jordan XI “Silver Anniversary” drops at footlocker.com and Foot Locker/House of Hoops stores this Saturday, May 1st. So clean. 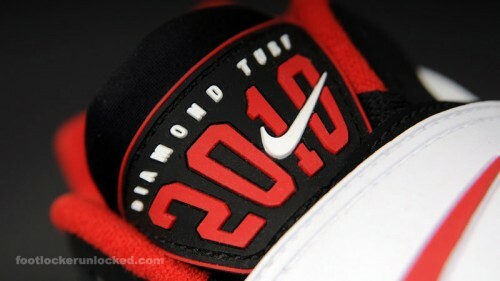 So icy. This is definitely one of the grail models in the Silver Anniversary collection. 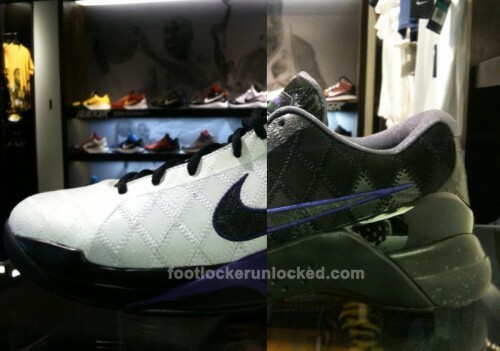 This Zoom Kobe V in Black/Dark Grey/Varsity Purple will hit footlocker.com and Foot Locker stores in July. 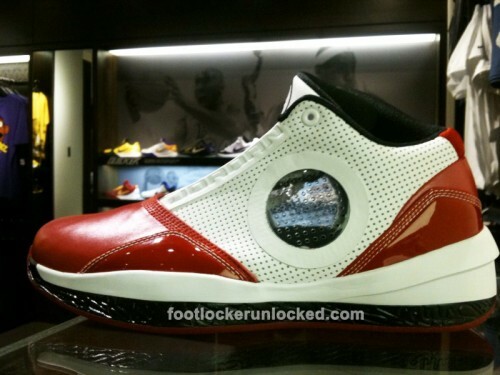 The Nike Hyperdunk Low “Trash Talk” dropped at House of Hoops this weekend in black and white. 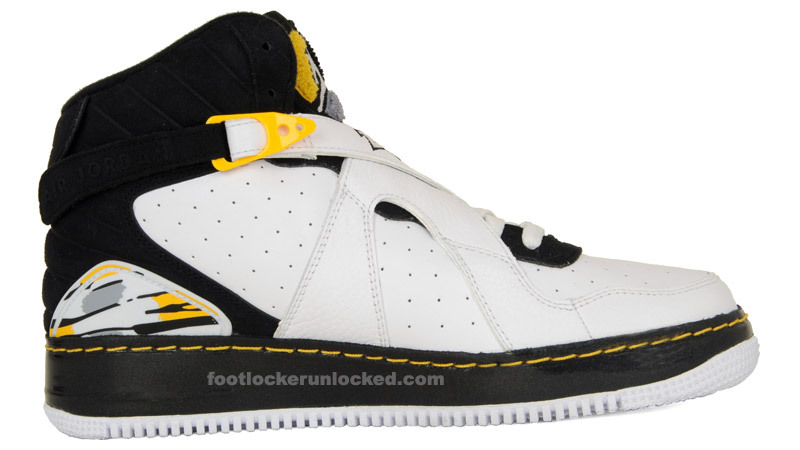 Part of Nike’s “Considered Design” effort to be environmentally friendly, the shoe is made from left-over pieces of other sneakers. The pieces are stitched together in an almost argyle diamond pattern. Full shots of each after the jump. 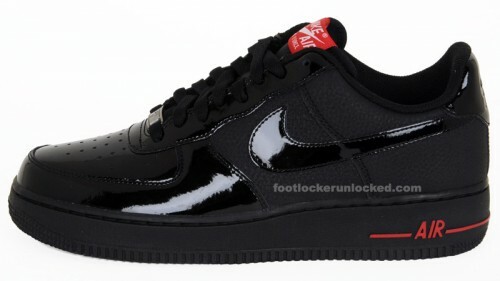 This Nike Air Force 1 ’07 in Black/Black/Varsity Red hits Foot Locker stores August 7th. 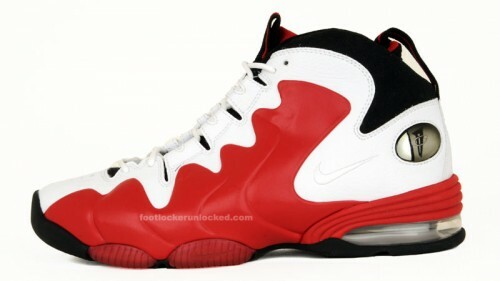 In case you forgot, the Nike Air Penny 3 White/Varsity Red drops at Foot Locker stores TODAY. For full shots and info check the Gallery.